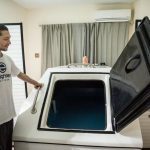 Float tanks were all the new-age rage in the 1970s, promising health benefits and even psychic experiences through sensory deprivation, the practice of floating in skin-temperature, highly buoyant, salty water in a pitch-black tank. The benefits list of floating reads like a miracle cure. In several studies, like one out of Karlstad University in Sweden, floaters report less muscle tension, stress and chronic pain. Some enthusiasts say they get higher energy, greater brain function and restoration that’s the equivalent of a full night’s sleep. The trend dropped off in the 1980s when people became afraid of contracting the AIDS virus in the multi-use tanks. Today’s methods are completely hygienic, and sensory deprivation seems to be making comeback. 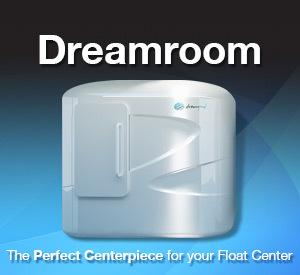 According to the Floatation Tank Association, there are now more than 200 float centers around the U.S. 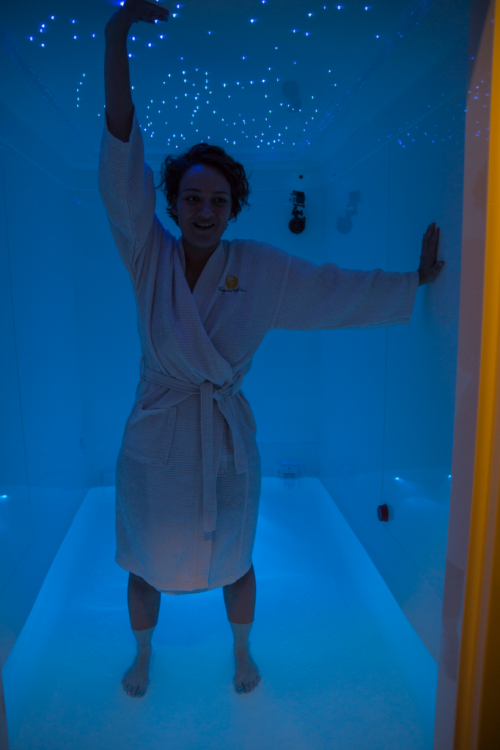 While most sensory deprivation sessions take place in small, tank-like enclosure made for one person, the Chicago Stress Relief Center has an entire room built for sensory deprivations, its “Ocean Float Room” complete with delicate, calming starlights in the ceiling you can choose to leave on if the pitch blackness is too intense. And as opposed to a traditional float tank, you have the option of leaving the door to the small room partially open if you’re feeling claustrophobic. The pool itself is not deep — 10 inches exactly — and once you step in and get situated on your back, your body immediately reacts to its new environment. 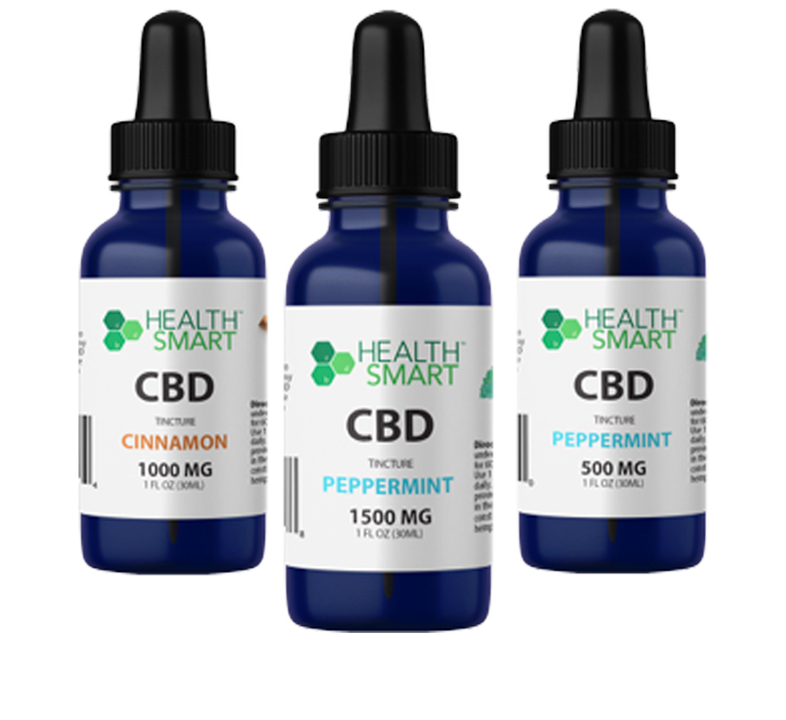 “The left part of the brain shuts off, the right part of the brain expands and all these amazing neurochemicals get released in the brain that gives us this takeaway of clarity, of more present-time consciousness, where you feel so here, so now, that it’s exhilarating,” said Chicago Stress Relief Center Clinical Director Dr. Howard Weissman. The saline water in the pool helps to leach out lactic acid from your muscles that causes soreness after an intense workout. The darkness and lack of sensory input in the room also helps reset circadian rhythms, which is why Weissman said he hops immediately into his tank after something like a redeye flight. “Whether you’re in there for an hour or 30 minutes or two hours or five hours, and people do [that], you will feel profoundly restored,” he said. 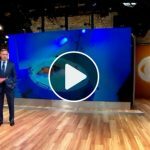 Dr. Weissman also says floating is an immense help to his patients suffering from PTSD. In such a quiet, soothing environment, he says, patients can relive and review their experiences in a calm state of mind and work through their trauma. He also says floating can be an effective tool for creativity, referring to one patient who works in design. After a float, this patient is immediately scribbling away on the floor of the facility, much like someone who wakes from an inspiring dream and just has to get the idea down on paper. Despite Lilly’s legacy as the eccentric doctor who developed float tanks, Weissman said the neuroscientist’s intrigue into the expansion of consciousness defines him as a deep thinker. During my one-hour experience in the float room — basically a really big bathtub — I wore a swimsuit, but Weissman recommends his clients float naked to eliminate further distractions on your skin. Dr. Weissman also suggested that I take my contacts out, since they can make getting the extremely salty water in one’s eyes a pretty painful experience. I foolishly brushed off this advice and lo and behold, ten minutes in I had to step outside the tank and wash my eyes out. The float itself was almost like being in an Omnimax theater, where your body feels like it’s wheeling around and you’re not quite sure which way is up. Initially my muscles tensed up, mostly in my shoulders and back, unable to give in to the near-weightless environment and indicating where I typically carry a lot of my stress. But in the second half-hour of the float I was eventually able to relax and let my mind wander. I didn’t receive any psychic revelations or hallucinations, but my muscles did feel pretty great. The science behind sensory deprivation and float tanks is incomplete — a lot more research still needs to be done with bigger focus groups. The study out of Karlstad University only involved eight people, and we don’t have a definitive study that says, “Yes, floating absolutely helps X.” But while the benefits have yet to be scientifically confirmed, there’s also no harm in floating, either. 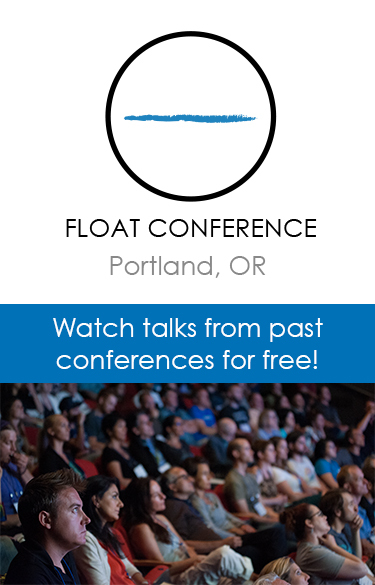 Weissman suggests looking at floating as just one part of your wellness regimen. It can be an ancillary treatment to therapy, acupuncture, meditation, yoga, massage or any other activity that just helps you chill out. So while we wait for science and data to catch up with anecdotal evidence, might as well take up floating if it makes you feel better (and if the worst-case scenario is just a temporary sting in the eyes). Lindsey Reiser is a TouchVision writer.